CWR is the recognized leader in the application of advanced cold forming technologies to achieve fast and economical high volume production for a wide range of products. 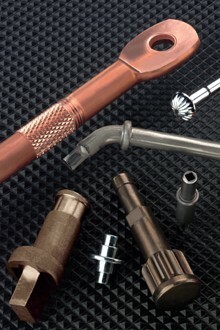 Cold forming, and related solid metal forming techniques such as rod heading, wire forming, thread rolling, and bending, can be used to produce finished parts without the aid of heat. Cold forming is the ideal alternative to machining, fabricating, and welding operations for many applications. Visit our Advantages page to learn more about the benefits of advanced cold forming.